In Washington a new president takes over with one burning ambition... to destroy the United States. 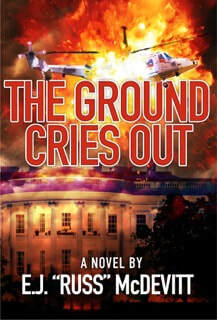 President Donovan's mind is becoming increasingly irrational as he plots to unleash chaos and the dogs of war across the world in revenge for the drug overdoses of his two sons, which he blames on the corrupt U.S. system. His initial efforts to create anarchy turn unexpectedly into brilliant moves that solve some of the world's major trouble spots. But in the process, he earns the hatred of Saudi Arabian Sheik Amani, who places a contract for Donovan's assassination with Paccy McDaid, a rogue ex-SAS trooper, now a hit man for the IRA. Other forces, among them Mossad, the PLO and the Secret Service, are actively involved in stopping McDaid before he reaches the U.S. President, and launch multiple attempts against him. Donovan's final act looks like success as he convinces the British Government to cede Northern Ireland to the Republic in a surprise overnight move, and a massive vengeful Loyalist Army goes rampaging across the border towards Dublin. In Washington, despite intense White House security, St. Patrick's Day dawns and Paccy McDaid, disguised as a guest from Ireland, hears the magic words: "The President will see you now."